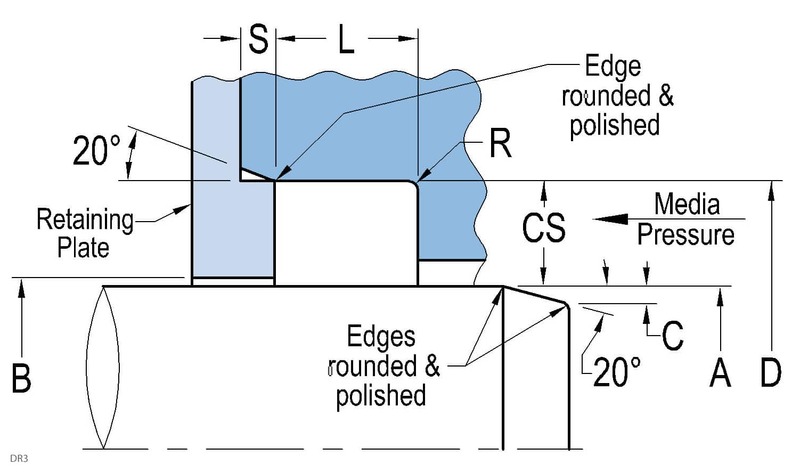 Ultrahigh pressure single-lip rotary shaft seal for extreme environments. This seal is designed to provide long service life and low friction for extreme service applications over a wide temperature range. This seal is for high PV applications characterized by high pressure and low speed. 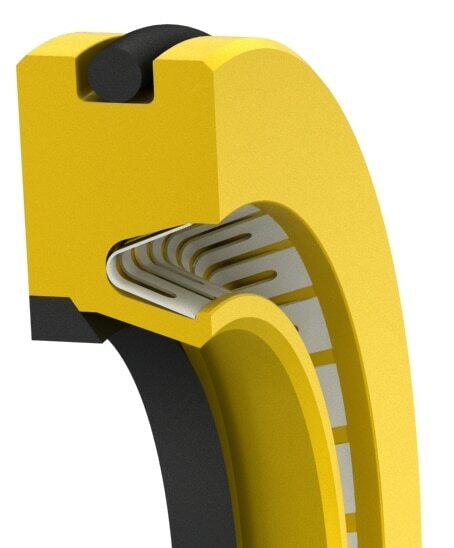 The integrated anti-extrusion ring, made of highly extrusion-resistant materials, allows the seal to handle ultra high-pressure spikes while still rotating. This seal has a relatively small footprint and is available in many materials specially suited to handle aggressive chemicals and environments. Also available in small quantities for repairs and seal replacement in 1 to 3 days.